Risa was born and raised in Japan before deciding to move to the UK in 2003. After attaining a BA in Law at Tohoku Gakuin University in Sendai, she relocated to Tokyo to work for one of the country’s largest TV stations; Fuji Television. As a director she was instrumental in creating a range of programming from variety shows, travel shows, documentaries, talk shows and music formats. Her creative and communication skills were cultivated and developed within this role. 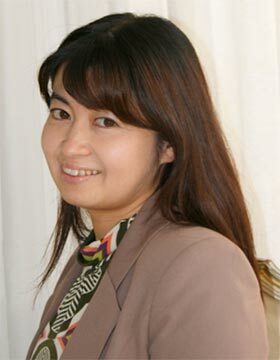 During that time, her passion to become a natural bridge between Japanese and English language had grown, prompting her to acquire a Masters degree in Applied Translation at the University of East Anglia. Relocating to London, Risa joined a translation agency and utilised her media background to become a translator / subtitler for film, TV and video whilst also being trained as a voiceover artist. Working within in a wide range of formats, Risa applied her talent to corporate videos, commercials, audio guides, in-flight announcements, e-Learning courses and iPhone apps. Leaving the agency in May 2014 to work on a freelance basis, Risa is enjoying the new challenge. She continues to search for further opportunities to maximise her skills in bridging the two cultures she knows so well.